Ogawa"- Little Kyoto" SUBPAGE | All Japan Kyoto Association"
Ogawa is surrounded by abundant nature and hemmed in by the Sotochichibu Mountains with the fresh Tsuki River running through the middle of the town. The town is often called “Little Kyoto of Musashi” as it has various traditional industries including sake breweries, tategu (furniture fittings), ura-ginu (a special woven silk that is used as the lining of kimono) and Ogawa Washi (Japanese paper) which has been passed down for over 1,300 years. Historic sites with their own unique stories and traditional buildings create a nostalgic atmosphere. In the suburbs, visitors can experience making traditional paper at the Saitama Craft Center. In late March, Katakuri (Japanese dogteeth violets) flowers bloom at the foot of Mt. Sengen, reminding people of the coming of spring. The park is located in the middle of Mt. Sengen and was designed so as to take advantage of its natural surroundings thus enabling visitors to fully enjoy the changing seasons. The roller slide is the park’s most popular play equipment and at 203 meters in length allows riders, both children and adults, to overlook the Ogawa town’s panoramic view while sliding down. Everybody can have a great time at the Wanpaku area with its play equipment and observation deck. This center offers visitors an in-depth washi making class. Centered on the handmade paper making process, there is a one-day class covering the major stages of the washi making process step by step; also, a fully comprehensive four-day class begins with the process of readying materials. 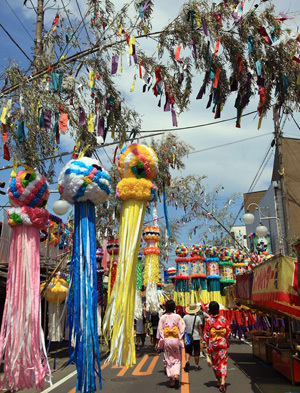 This major festival of Ogawa Town has continued annually since 1949. The procession is composed of old historic floats, Ogawa festival music and Tanabata dance, and it passes under the grand bamboo decorations made with local washi, the biggest of their kind in the Kita Kanto area. At night, an approximately 2,000 fireworks show will be held to beautifully decorate the summer night sky. This marathon race consists of several categories from elementary school students to adults, and many runners gather from all over Japan to have a great time together running through Ogawa Town in December. 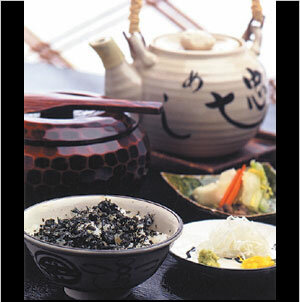 The most renowned craft of Ogawa Town is handmade Ogawa Washi. Among these Washi, especially “Hosokawa paper,” made using only the fibers of the paper mulberry plant, is designated as an important cultural property. Ogawa Washi has been preserved for over 1,300 years and possesses a delicate beauty mixed with warmth and kindness, as well as a toughness to endure over a long period. Ogawa Silk, or Musashi Silk, was said to have originated during the Nara period (8th century). 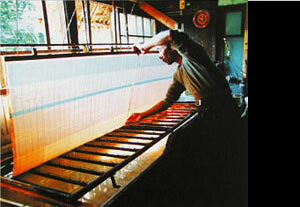 Nowadays, as the major Ura-kinu production area, the special silk is shipped to Kyoto and other places from Ogawa Town. In November 2014, the technique of making Hosokawa Paper, which has been passed down in Ogawa Town, was enlisted as the “Washi, craftsmanship of traditional Japanese handmade paper,” along with Sekishu Banshi paper (Shimane Prefecture) and Hon Mino paper (Gifu Prefecture). Ogawa Town’s mounting furniture production has developed using local Nishiyama wood. Among them, especially the Shoji paper sliding door with its doctored frame is highly praised along with its woody aroma and beautiful grain, made by skilled artisans. Ogawa Town is well known as a great sake brewing district, also known as Kanto Nada from ancient times, as it is blessed with the appropriate surrounding nature and pure spring water coming from Chichibu Mountains. Currently, there are three sake brewing companies: Matsuoka Jozo, Musashitsuru Shuzo and Seiun Shuzo, competing with each other to make the best sake. Norabona belongs to the brassica family and has a sweet taste and a good texture. Its nutritional value is very high and contains more than twice the amount of vitamin C of Komatsuna (a leafy green vegetable). In the middle of the Edo period, the head of Kanto Gundai (magistrate of the Kanto region) gave out Norabona seeds to farmers and encouraged its production. The traditional vegetable was said to have saved people from starvation during the Tenmei/Tempo famine (1782-1836).